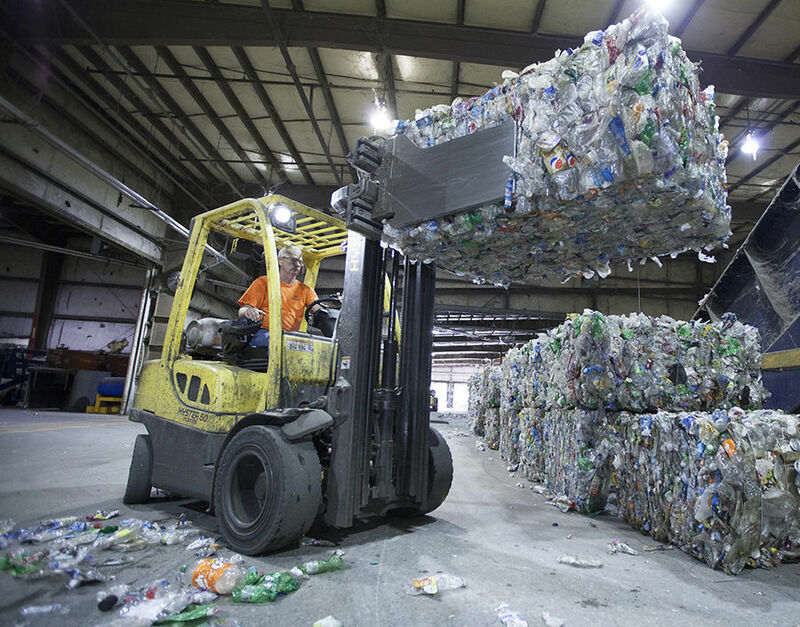 Mohawk is partnering with Groundswell to install 10 SmartFlower solar technology energy systems to produce clean, renewable energy in schools with STEM programs and low-income communities. 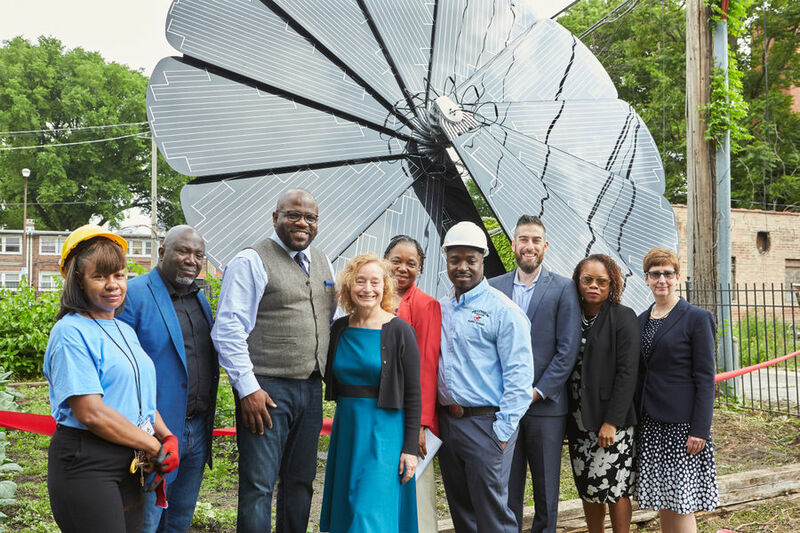 The first project was unveiled in South Chicago's Bronzeville neighborhood, and is located in the Renaissance Collaborative's community garden. 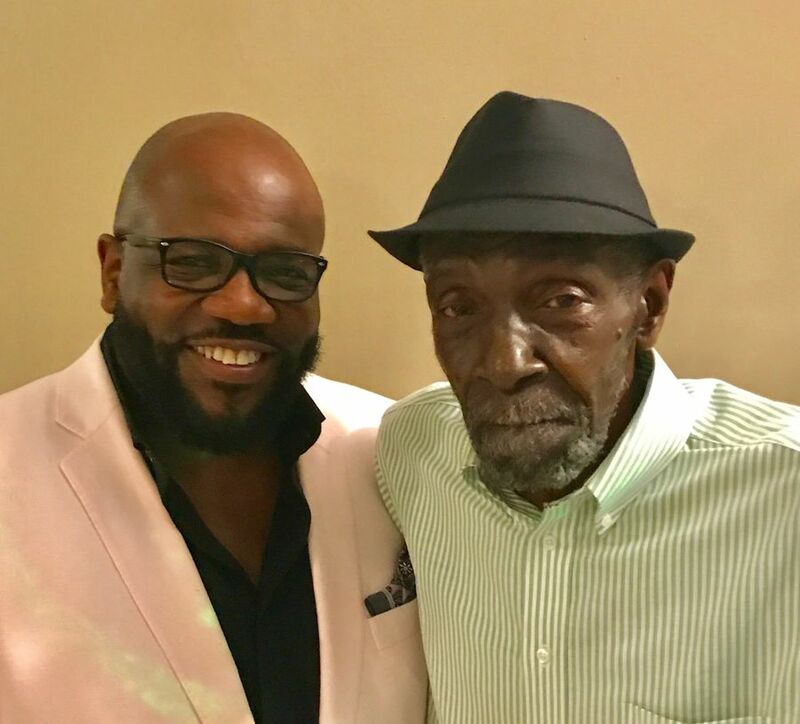 George Bandy Jr. and with his father George Bandy Sr.
Mohawk recycles more than 6 billion plastic bottles a year to create beautiful residential and commercial flooring. 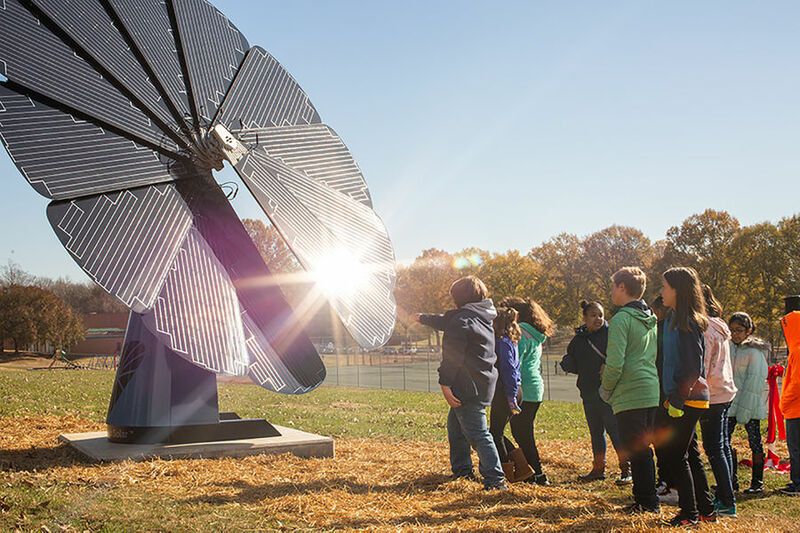 Mohawk is partnering with Groundswell to install 10 SmartFlower solar technology energy systems to produce clean, renewable energy in schools with STEM programs and low-income communities. The second smartflower was unveiled in Eden, N.C. near three Rockingham County Schools.